Archadeck prides itself on the quality of work we do and how we take care of our clients. We bring the experience of a nationally respected custom deck building company to the Nashville area. With over 30 years experience and 100,000 structures built, Archadeck leads the industry in quality and safety. If you decide to continue with Archadeck of Nashville, we will create a custom deck design, patio design or even a outdoor paradise complete with outdoor kitchen and fireplace. Even after we design your oasis, you still have the option to back out. You will not be under obligation until you sign your contract and approve your design/plan. 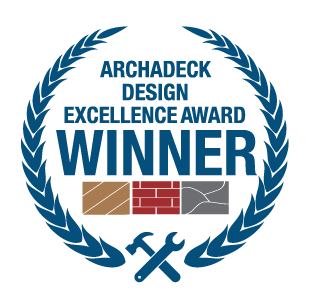 Archadeck of Nashville is dedicated to customer satisfaction and exceeding our client’s expectations — and it shows! We are honored to have been awarded an Archadeck Customer Service Award for two years running – 2017 and 2018. Recipients of this award are chosen based on their Net Promoter Scores (NPS). We have also received the Houzz Service Award for three consecutive years. We received the Angie’s List Super Service Award and are listed as a Top Rated Home Advisor service provider. Ready to break ground? Once you sign the contract, you’re protected by our guarantees. Between the two, you will have the most complete customer protection plan in the industry. We also have local oversight that assures your property and privacy are protected. From permits to final clean up, we work very hard to be as discreet and unobtrusive as possible. Archadeck of Nashville uses only the finest materials in everything we build. Take a look at just a few of the brands we work with most frequently…Please click the links below to learn more. Are you ready to embark on getting the outdoor living space you’ve always dreamed of? FAQ: The first and most important step is finding the right contractor! Visit our page Selecting A Deck Contractor For Your Nashville Home to ensure you hire a professional you can rely on to get your project done right. You can also watch our video on How to choose the best contractor for your outdoor living space from our video gallery. Do you know the local building codes and if your deck or porch project needs a permit? FAQ: Building codes are essential for knowing what type of outdoor structures require a permit, how to submit a proper building plan to get a permit, what points during construction require an inspection, and the specifics of how to build a safe deck or porch. Learn more in our blog Nashville Deck & Porch Building Codes: What You Do and Don’t Need To Know. Do you know which roof style is the best fit for your screened porch or outdoor room addition? FAQ: There is no one style fits all when it comes to choosing the right roof for your project. When we sit down to design your roofed addition, we take more into consideration than just how that type of roof will work in unison with your home. Read the whole story at Choosing the Right Roof Style for Your Nashville Porch or Outdoor Room Addition. Are you considering a low-maintenance solution for your new deck addition or deck upgrade? 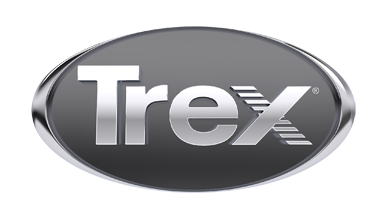 FAQ: There are many great low-maintenance decking manufacturers including TimberTech, AZEK and Trex, just to name a few. Learn more in our blog Are you considering using TimberTech, AZEK or Trex for your new Nashville Composite deck? Do you yearn to spend time with friends and family on your screened porch during the winter? FAQ: Why not consider integrating an outdoor fireplace into your Nashville screened porch design? Are you considering an outdoor room addition but don’t know where to start? FAQ: It is often hard to decipher what the differences are between the various choices. Screened porches, 3-season, 4-season rooms and sunrooms are very popular in the Nashville area. Archadeck of Nashville is here to ease your mind by clarifying the differences in our story Do You Want a Nashville Screened Porch, 3-Season Room, 4-Season Room or Sunroom? It was a joy to work with such a professional staff from start to finish, all expectations were exceeded, we look forward to many years of enjoyment. Very pleased with the professionalism from start to finish. It was an investment in longer deck life & minimal maintenance. Thank you Archadeck! Russell met with us, listened to our wish list – and our budget – and drew up a plan that was exactly what we wanted (while still within our budget). He made very helpful suggestions when we didn’t know what we wanted…We would highly recommend Russell Henderson and Archadeck for any deck or patio project. We love our new custom pergola. I showed Russell several pictures of what I envisioned and he was the only contractor I contacted who really listened to what I wanted and said he and his team could build it. He and his team were a pleasure to work with! Without hesitation I give Archadeck my highest recommendation. They were the model of professionalism, their work is excellent quality, and they do a good job of communicating about expectations and schedules. Archadeck Nashville was a pleasure to work with on my porch and patio project. They are professional and dependable! Archadeck removed our deck and built a larger deck for us. Russell provided great ideas and design for the new deck. The builders were courteous, neat, and timely. We are very pleased. There are so few contractors out there who can be trusted. We knew from the start that Archadeck was who we’d choose. Russell’s professional and courteous demeanor made him very approachable. We discussed in great detail exactly what we wanted and he worked with us on every detail…Hands down, best company for your big project! …The quality of work was top notch. Archadeck actually goes above and beyond with some things that are code. They took the time to ensure my current deck structure was solid and even added more to it in areas to ensure there would be no issues in the future. The craftsmanship was phenomenal as we really enjoy our outdoor space so much more now. The craftsmanship and attention to detail was above and beyond anything we’ve experienced, and they had an enormous amount of professionalism during the process. I strongly recommend Archadeck and would hire them again without hesitation! …One other thing that we really respected was they treated us with respect & cared about their work. …Russell understood exactly what I wanted and now we have a very nice screen porch and patio on the back of our house. Russell, Lee and the whole team at Archadeck were great to work with. Quality and attention to detail were truly outstanding on our large custom deck project. They were professional and responsive and provided great customer service. Archadeck is first class in everything: design, workmanship, management of all aspects, communication and knowledge. EVERYTHING the website and promo materials say is true! This team was amazing and professional with the highest standards of excellence. We will definitely put Archadeck of Nashville at the top of our list to contact when we have another project! Russell is professional, punctual, and worked with us and our budget to get the porch we had envisioned and we couldn’t be happier with the result. Working with Russell of Archadeck was a streamlined and pleasant experience. From the initial contact to the completion of our deck he constantly communicated with us and listened to our feedback. The finished product was exceptional and greatly exceeded our expectations. Russ and company did an excellent job of redesigning and replacing our old, worn out deck. We now have two levels to enjoy the outdoors for BBQ or just enjoying the landscape. Best experience I’ve ever had building a deck. Will definitely recommend Archadeck to all of my friends. Russell & his Archadeck team created a beautiful custom covered porch for us! Very professional and would highly recommend!